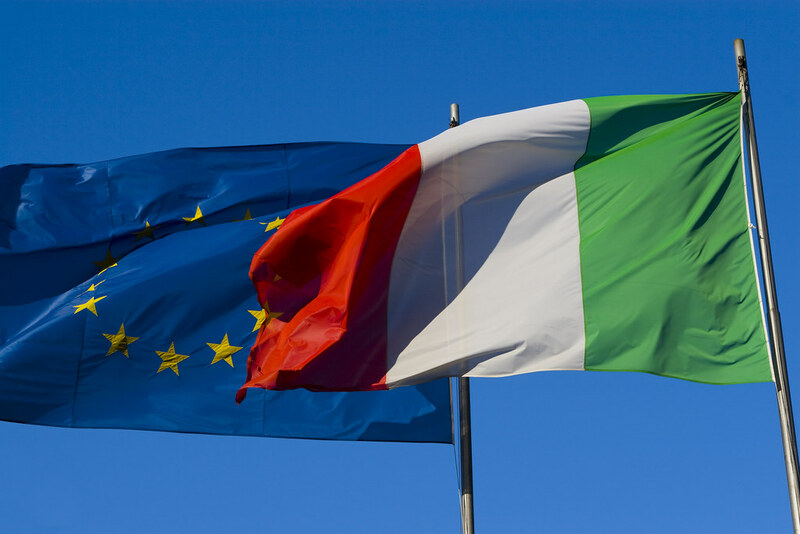 A recent survey of Italian political views shows a seeming contradiction: a willingness to forego democracy but submit to EU economic and military directives. It is better to have less democracy, provided everyone's better off. This is what 43% of Italians believe, according to a survey conducted by the Piepoli Institute on Jan. 8. Just to clarify: The poll is from this year, not 1922, Year One of the Fascist Era. Among voters of the League (the far-right co-governing party led by Interior Minister Matteo Salvini) the proportion of people who see democracy as relatively useless goes all the way up to 67%. Surprising? Not to some people. Still, the numbers are worth looking at. From the same survey, we learn that 44% of Italians favor a government based on the principles of populism. Among voters of the Five Star Movement (M5S), the anti-establishment party led by Luigi Di Maio that is in a ruling coalition with the League, the number goes up to 78%. M5S voters appear to be more populist than the League voters, at least in words (78% against 64%). Surprising? Not to some people. Overall, 62% of Italians admit that the current government is populist. Strangely, the only ones who are not so convinced are the center-right voters. The poll then says that 89% of the League and M5S voters would vote again for these parties. All normal, up to here. But here comes the oddity: 78% of Italians favor of a more united Europe as far as the economy is concerned. And that includes backers of the League (69%) and M5S (77%). Really? Are these voters really fine with Brussels being in charge of growth policies and budget control? Seriously? They're okay with being led by unelected Eurocrats? It seems so, because 82% of Italians would also like a united European defense (League voters 80%, 5MS 84%), meaning they support putting EU armies together and maybe giving control to unelected generals from another country. The image that emerges from Nicola Piepoli's survey is that of people who are (justifiably) fearful of the future and willing to accept anything as long as it is not what they have right now, the status quo. Maybe there's something new in play. Populism seems to be useful to keep thieves and migrants at bay. At the same time, a united Europe guarantees economic security because it seems to be able to prevent rash decisions and, with its armies, keeps the enemy at bay — perhaps even those Russians with whom the current government happily flirts. We Italians seem to be confused. Or maybe there's something new in play — call it Euro-populism — and Salvini and Di Maio are its healthy and probably unaware champions. Will it overcome democracy? Will it bring answers or curses? We have conflicting ideas that can only be clarified with answers, not with charity. Because if it goes on like this, even Salvini and Di Maio, who in the European Parliamentary elections in May will not do away with Europe, but will have to deal with economic stagnation instead, will end up being considered the status quo that no one wants. We will have to start from scratch. In the meantime, not having witnessed an end to poverty or a new economic boom, people will be increasingly confused and enraged. And at that point, it won't just be our collective well-being that's in danger, but democracy itself.